The Cavs head to TD Garden to face off against the Celtics in a battle of two teams who are trying to right themselves in a relatively easy Eastern Conference. Both the Celtics and the Cavaliers are on pace to lose their fourth game in a row, so something has to give this Saturday. Boston lost a brutal string of games as of late. They blew a 27-point losing to the Pistons ten days ago and followed that up with a blowout loss to Indiana the next night, dropping their record to 12-17. The Cs are coming off a five-day rest after their worst loss of the season and could use the time to regroup and refocus. 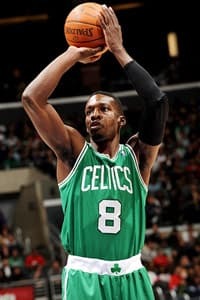 Boston’s Jeff Green, the club’s leading scorer has struggled recently, shooting under 40 percent his last five games and averaging just 10.6 over that span. Their backcourt continues to make small strides without Rajon Rondo, but desperately need him back due to inconsistency on both sides of the ball in the backcourt. Cleveland has lost five of their last six games, in a similar heartbreaking fashion to Boston. They lost 127-125 after a grueling double-overtime game against the Atlanta Hawks. The loss dropped them to 10-18 on the year. It has been an up and down year for the Cavaliers, a team that had much higher expectations for themselves coming into the season. These opponents have gone at it once this season already. The Celtics won the first meeting, a 103-86 victory at Cleveland. Even with Cleveland’s terrible record, I like them in this spot. Their spotty backcourt has blown up for some big games as of late and they are in every contest because of it, despite not getting the wins. I think Kyrie Irving and Dion Waiters destroy Boston’s terrible defensive backcourt and explode for big games that propel the Cleveland to win. Familiar foes meet as the Nuggets head to the grind house looking to break their recent slide against Memphis. Denver looks to try and avoid their longest losing streak in the past nine seasons when they face a Grizzlies team that has not met expectations so far this year. The Nuggets moved to 14-14 after losing to the New Orleans Pelicans on Friday, eventually getting blown out in the second half, 105-89. Their scoring has suffered tremendously over the poor run. They are shooting under 40 percent and are averaging just over 90 points, which is more than 10 points lower than their season average of 102.1. Memphis has dropped 11 out of their last 16 contests, but have won two games in a row before losing to Houston on Thursday. The Grizzlies have not been themselves at home this year and are 6-10 on the season, including the 100-92 loss against the Rockets on Thursday. As bad as the Grizz have been at home, the Nuggets are playing some terrible basketball over the past two weeks. Even their head coach has questioned their chemistry, and with several starters injured, things do not look to be improving anytime soon. The Nuggets are not just on a five-game losing streak. They are getting blown out of the building. Three out of their last five losses have come by double digits. I think Memphis protects their home court tonight and comes away with a relatively easy victory against a Denver team that is playing their worst basketball of the season.